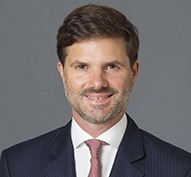 Sébastien Evrard is a partner in the Hong Kong office of Gibson, Dunn & Crutcher LLP. He is a member of the firm’s Antitrust and Competition Practice Group. Mr. Evrard handles complex antitrust matters in Asia and the European Union, including merger control, non-merger investigations, and litigation. His practice also focuses on the antitrust aspects of intellectual property rights. He has represented clients before multiple regulators in Asia and Europe, and has litigated cases in multiple jurisdictions. Prior to joining Gibson Dunn, Mr. Evrard practiced in Brussels and Beijing with a leading international law firm. He previously had developed experience with all aspects of intellectual property (copyright, trademarks, patents, databases) and information technology (computer law, computer crime, privacy, and e-commerce). Mr. Evrard is a co-author of Anti-Monopoly Law and Practice (Oxford University Press, 2011), the leading English treatise on competition law in China, and Competition Law in China: Laws, Regulations, and Cases (Oxford University Press, 2014). He also has published multiple articles related to competition, intellectual property, and information technology law. He is a frequent speaker at international conferences and is recognized as an expert in his field by publications such as Chambers & Partners. According to Chambers Global 2016 “sources enthuse that he is ‘first class with accessible and practical advice’ and ‘always able to revert within a short time”. He is also considered as one of the leading competition lawyers in Greater China by Who’s Who Legal and by IFLR1000. Mr. Evrard gained his LL.M. from Columbia University (James Kent Scholar (highest honor) and Walther Gelhorn Prize (valedictorian)) in 2003, and his Licentiaat in de Rechten from the Catholic University Leuven in 1995. He is admitted to practice in Brussels and is a solicitor of the High Court of Hong Kong. He speaks English, French and Dutch. * Includes representations prior to joining Gibson Dunn.